Eastern chipmunks mate in early spring and again in early summer, producing litters of four or five young twice each year. Western chipmunks only breed once a year. The young emerge from the burrow after about six weeks and strike out on their own within the next two weeks. Their omnivorous diet consists of grain, nuts, birds’ eggs, fungi, worms, and insects. At the beginning of autumn, many species of chipmunk begin to stockpile these goods in their burrows, for winter. 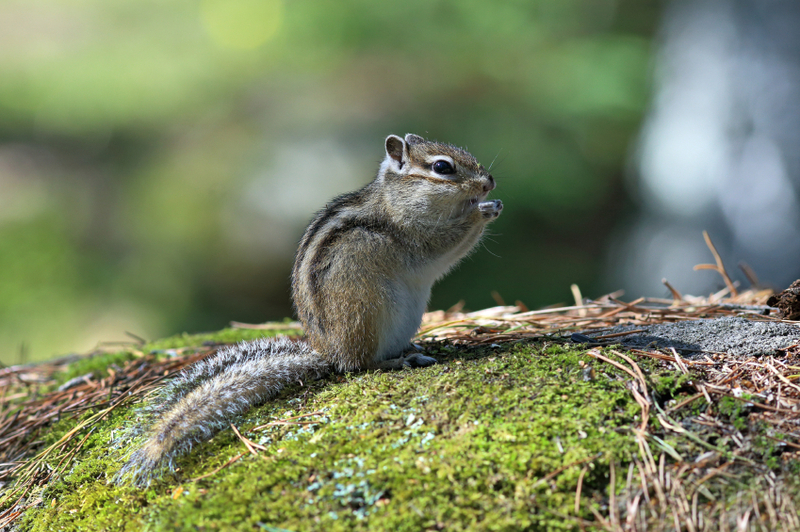 Chipmunks causing problems in your lawn or garden? Chipmunks construct expansive burrows which can be more than 3.5 m in length with several well-concealed entrances and can cause a lot of damage to your lawn or garden. Some will even look to burrow under your home or other buildings. 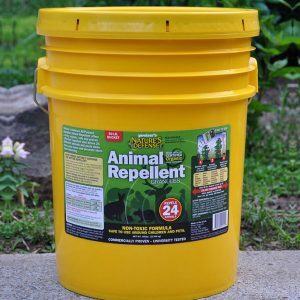 Nature’s Defense is the most powerful form of Chipmunk Control available today and your natural solution that is easy to use and guaranteed to work. Now you can use the same research proven formula that professionals use as part of their animal control business. 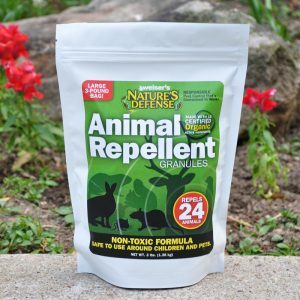 Controlling chipmunks is easy by simply sprinkling Nature’s Defense organic formula around the area you want to protect; your mole problem will be solved quickly and easily. 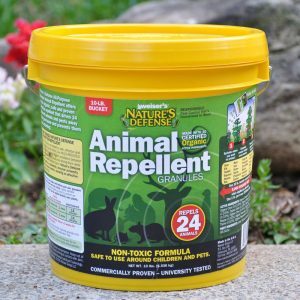 Sprinkle Nature’s Defense granular animal repellent directly over and around the areas that the chipmunks are causing damage too. Apply Nature’s Defense twice a week for the first two weeks, then once a week for maintenance.